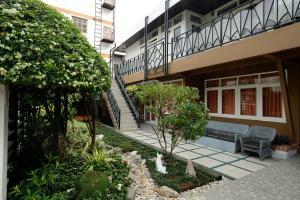 Featuring a garden, Siam Square House is set in Bangkok, 300 metres from Bangkok Art & Culture Centre. This property is situated a short distance from attractions such as The Jim Thompson House, Siam Paragon Mall, and MBK Shopping Mall. 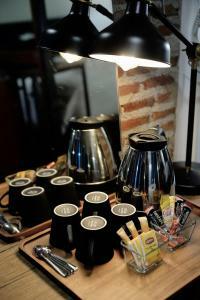 The accommodation offers a 24-hour front desk and free WiFi is available. All rooms in the guest house are fitted with a flat-screen TV. Rooms are complete with a private bathroom equipped with a shower, while certain units at Siam Square House also have a terrace. SEA LIFE Bangkok Ocean World is 700 metres from the accommodation. The nearest airport is Don Mueang International Airport, 24 km from the property. This double room features a balcony, air conditioning and sofa. This twin room has a balcony, sofa and air conditioning. This triple room features a balcony, air conditioning and sofa. This triple room features a balcony, satellite TV and view. Rate: THB 1064.00 ... THB 3200.00; select dates below to get current rates. 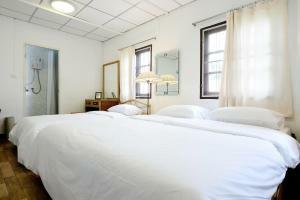 Rate: THB 2295.00 ... THB 2352.80; select dates below to get current rates.